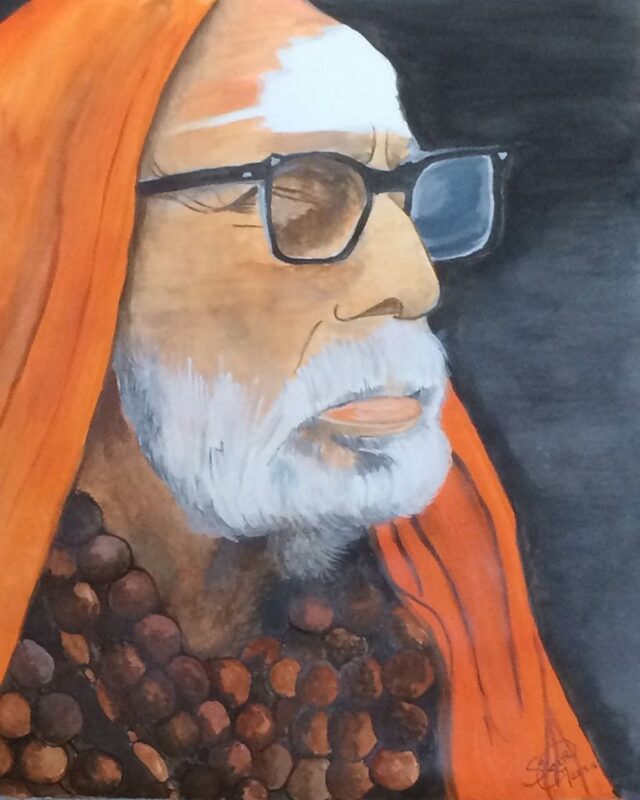 Saismrithi Govindarajan is back with another magnificent painting of Sri MahaPeriyava. May Sri MahaPeriyava and Sri Sivan SAR be with you and your family! Thanks for sharing your artwork with us. One always needs a guiding force, a source of inspiration to do things. When we find this, we feel motivated! Sri Maha Periyava provides every single one of them and makes sure we succeed. This small note of thanks to Him, our Almighty! Thank you for everything You make us do. Indebted we are, to You, forever! All in this world we can conquer with Your grace. The best of it all is what You have showered us with! One can feel it even in Your stories we have read! Nothing is impossible is what You make us feel. You show us You are there no matter what, guiding us and showing the way. “Thank you”: These are words we’ll utter throughout our life to You. Very True. No words to describe the greatness of this divine. Mere his utterance would see us sail through this life. Swami Saranam. May Maha Periyava’s Blessings be ever on Saismrithi, enabling her to produce more such Divine Lifelike Paintings of Maha Periyava! Hara Hara Shankara, Jaya Jaya Shankara! Very nice painting by Saismrithi!!! JAYA JAYA SHANKARA, HARA HARA SHANKARA..
namaskarams very divine painting of periaval. 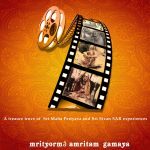 Saismrithi Govindarajan motivates every one to try this ART. It doesn’t look like a painting but looks like a photo, that much accuracy and BAKTHI has been handled while painting MAHA PERIYAVA ‘s Image. MOTIVATION is spelt in alphabetical sequence to form the said word – all apt & relevant for Mahaperiva. Excellent painting. God bless you.